National Picnic Week kicks off on the 15th of June and runs until the 24th. We’re encouraging Brits up and down the nation to dust off their old blanket and get back to nature by dining alfresco this week! Found at the foot of the Black Cuillin mountains, The Fairy Ponds require a healthy walk to reach but the pay-off is well worth it. A 40-minute walk from top to bottom, visitors can wonder at the crystal blue water of the river Brittle as they tuck into their well-deserved picnic. This Green Flag awarded 23-hectare public open space, Lily Hill Park features an Edwardian water garden, England's longest picnic bench and a story-telling throne, making it a truly unique space. “We’ve had the hottest May on record so there’s already been more picnic’s so far this year than we normally have. With a hot summer predicted we’re expecting more picnic’s in 2018 than ever before. 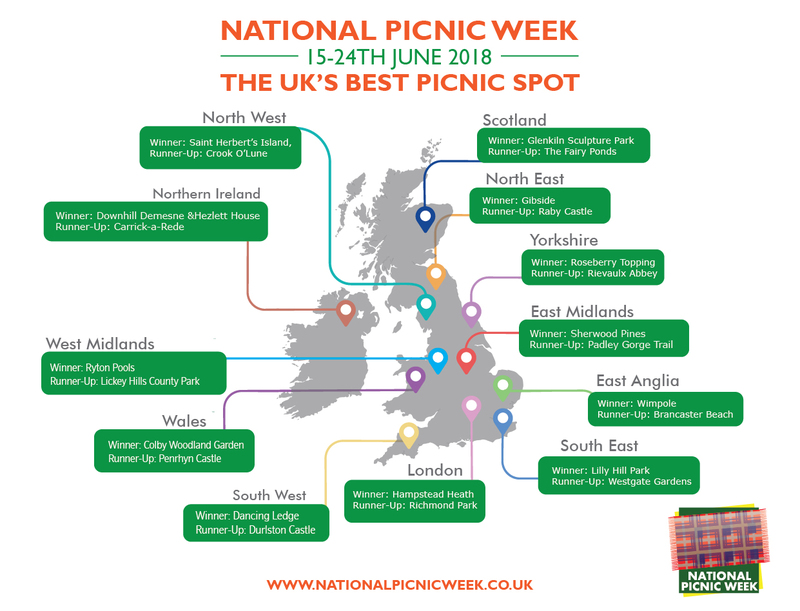 To make the most of your picnic this we’re encouraging the nation to have spontaneous picnics. It’s so quick to grab a blanket and a selection of foods and just enjoy eating outdoors. It doesn’t have to be a well-planned activity, you can even have a quick picnic in your lunchbreak”. This press release was distributed by ResponseSource Press Release Wire on behalf of Kin Communications2 in the following categories: Women's Interest & Beauty, Food & Drink, Travel, for more information visit https://pressreleasewire.responsesource.com/about.